GEO (Graduate Employees Organization) invites you to our first membership meeting of the academic year. Not sure what a union is or how GEO makes your time at UIC better? This is the perfect place for you to find out! 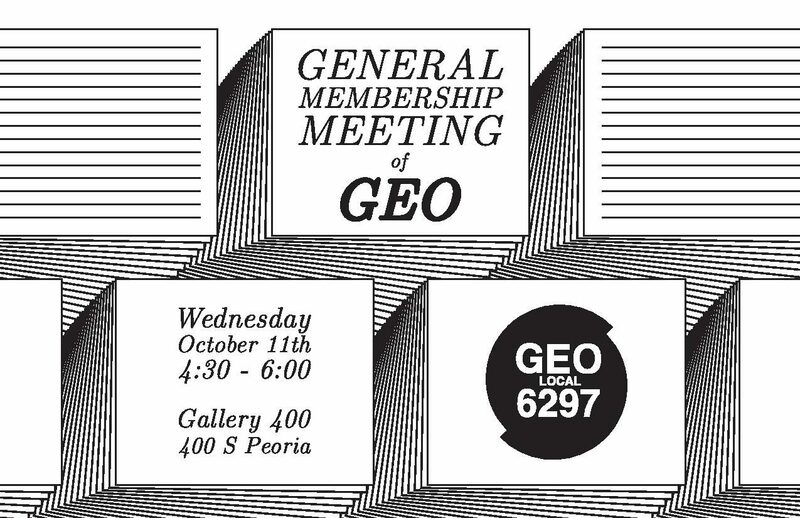 This is an opportunity to meet the union stewards and leadership that run GEO! Most importantly, this is a first step to learn how you can get involved to make your union even stronger! This space is accessible for all GEO members.